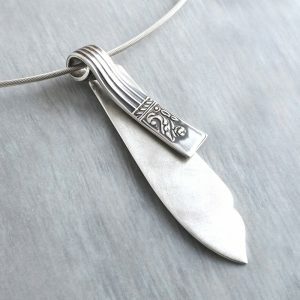 This is a collection of one off pieces made from recycled antique sterling silver butter knives. 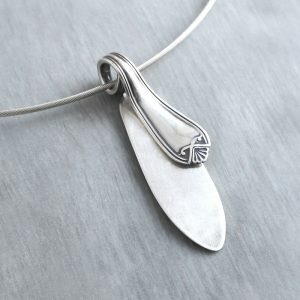 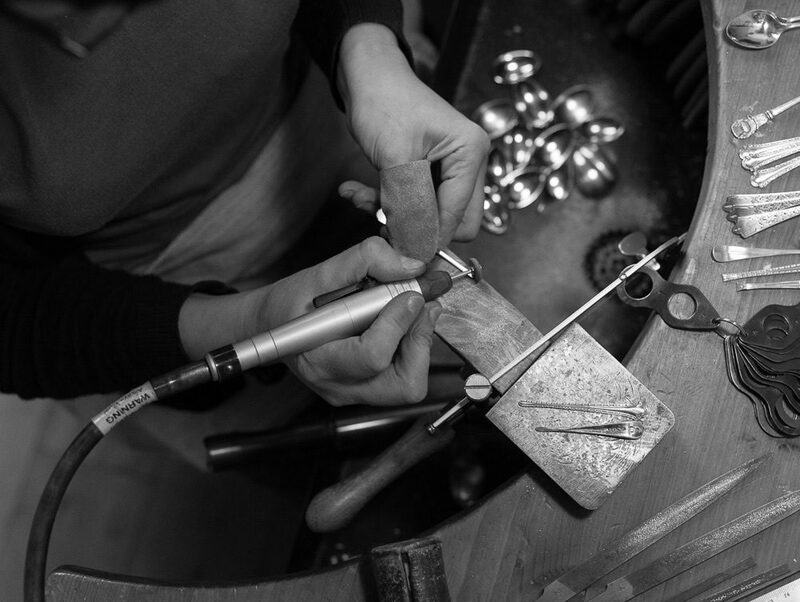 Pendants that are formed from the whole butter knife or rings and pendants made from the two distinct elements or each piece of silverware. 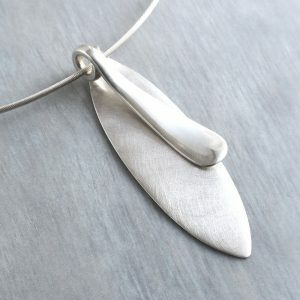 As they are one off pieces, they can’t be repeated, so if you like what you see, buy now before someone else does.